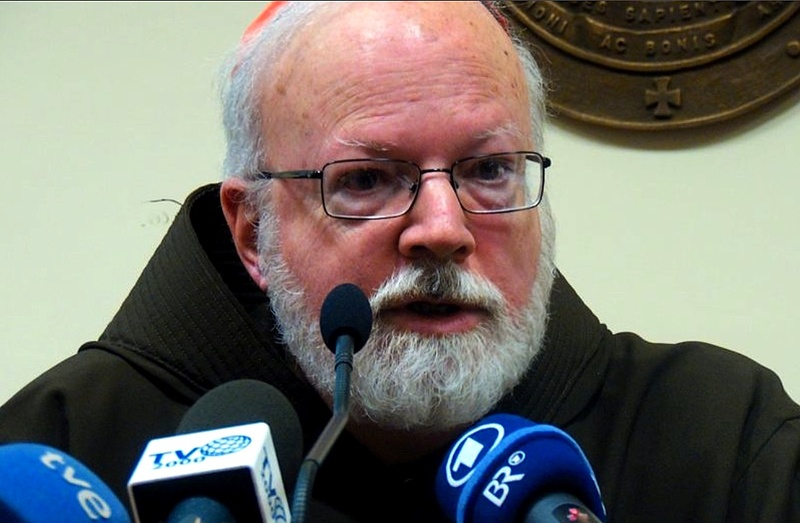 Pope Francis has confirmed Cardinal Seán O’Malley, OFM Cap. as President of the Pontifical Commission for the Protection of Minors [PCPM] and named sixteen (16) members to this advisory body, including nine new members, the Vatican said February 17, 2018, in a press release. The new members are: Prof. Benyam Dawit Mezmur (Ethiopia); Sr. Arina Gonsalves, RJM (India); Hon. Neville Owen (Australia); Ms. Sinalelea Fe’ao (Tonga); Prof. Myriam Wijlens (Netherlands); Prof. Ernesto Caffo (Italy); Sr. Jane Bertelsen, FMDM (UK); Ms. Teresa Kettelkamp (USA) and Mr. Nelson Giovanelli Rosendo Dos Santos (Brazil). The seven returning members are: Dr. Gabriel Dy-Liacco (Philippines); Bishop Luis Manuel Alí Herrera (Colombia); Fr. Hans Zollner, SJ (Germany); Prof. Hannah Suchocka (Poland); Sr. Kayula Lesa, RSC (Zambia) Sr. Hermenegild Makoro, CPS (South Africa), and Mons. Robert Oliver (USA). The Holy Father has chosen these eight women and eight men from a multi-disciplinary field of international experts in safeguarding children and vulnerable adults from the crime of sexual abuse. Representatives from several new countries will now offer their insights and experience to the Commission, reflecting the global reach of the Church and the challenge of creating safeguarding structures in diverse cultural contexts. Victims/survivors of clerical sexual abuse are included among the members announced today. Since the Commission’s foundation, people who have suffered abuse and parents of victims/survivors have been members. As has always been the Commission’s practice, the PCPM upholds the right of each person to disclose their experiences of abuse publicly or not to do so. The members appointed today have chosen not do so publicly, but solely within the Commission. The PCPM firmly believes that their privacy in this matter is to be respected. As decided by the founding members at the September 2017 plenary, the new PCPM membership and staff will begin its term by listening to and learning from people who have been abused, their family members, and those who support them. This “victim/survivor first” approach continues to be central to all the Commission’s policies and educational programmes. The PCPM wishes to hear the voices of victims/survivors directly, in order that the advice offered to the Holy Father be truly imbued with their insights and experiences. The opening session of the April plenary meeting will begin with a private meeting with several people who have experienced abuse. The members will then discuss various proposals to foster on-going dialogue with victims/survivors from around the world. Discussions have been underway for some months with a view to creating an “International Survivor Advisory Panel” (ISAP), a new structure shaped by the voices of victims/survivors and building on the experience of the Survivor Advisory Panel of the National Catholic Safeguarding Commission in England and Wales. Baroness Hollins, a founding member of the Commission, has chaired the working group to research and develop a proposal on the ISAP and will lead the presentation to the April plenary meeting. The goals for this panel include studying abuse prevention from the survivor’s perspective and being pro-active in awareness raising of the need for healing and care for everyone hurt by abuse. The specific task of the Pontifical Commission for the Protection of Minors is to propose to the Holy Father best practice initiatives for protecting minors and vulnerable adults from the crime of sexual abuse and to promote local responsibility in the particular Churches for the protection of all children, young people, and vulnerable adults. Inculturating abuse prevention and protection into the life and action of local churches remains the PCPM’s future goal and greatest challenge. Over its first four years, the PCPM has worked with almost 200 dioceses and religious communities worldwide to raise awareness and to educate people on the need for safeguarding in our homes, parishes, schools, hospitals, and other institutions. The members would like to thank all those who have embraced this call and to thank the Holy See for supporting and encouraging these efforts.